Listen to my conversation with Mindy Todd on The Point, on NPR, recorded on August 7, 2013. I enjoyed a visit with Renaissance House in Oak Bluffs, a salon for aspiring authors. Very successful event for Women Empowered on September 29, 2013. This publication profiles fifteen prominent women who lived on and loved Martha's Vineyard. Beginning with the eccentric poet Nancy Luce and tracing Vineyard women through the twentieth century, the book is an intriguing compilation of many charismatic and dynamic individuals. 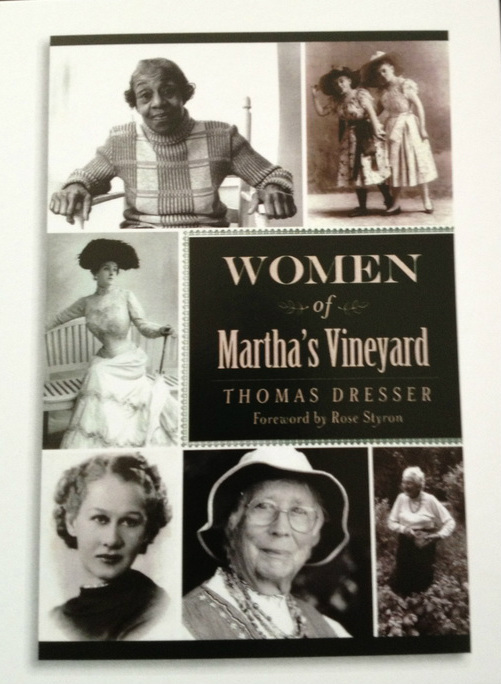 Women of Martha's Vineyard is available, as of April 16, 2013. The cost is $19.99. Order off the home page, or pick it up at local bookstores. And check out this fine interview in the May 24, 2013 issue of the Vineyard Gazette. Women of Martha's Vineyard includes biographies of Katharine Cornell, Helen Manning, Dorothy West and Dionis Riggs. Read about Emily Post, Doris Pope Jackson and many more. Learn about life on the Vineyard through the eyes of these twentieth century women who contributed so much to the community. We hosted a Book Launch at our Oak Bluffs home, on the deck, on April 28, 2013. Well attended and appreciated! Marketing tour of the Island on May 1. Women of Martha's Vineyard is in bookstores NOW! 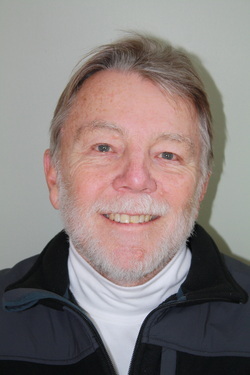 * We have a Facebook page, tom dresser, writer! 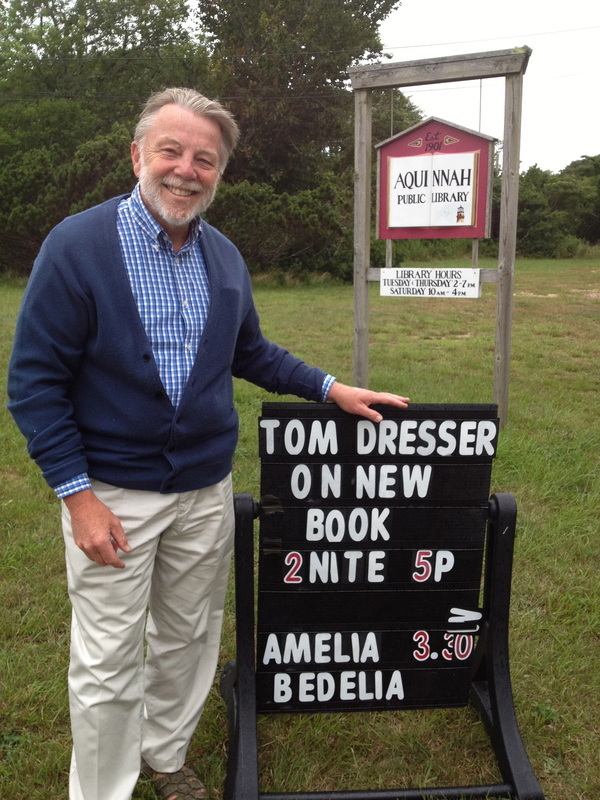 * My talk at the Chilmark Library on June 12 drew 31 people, and sold a bunch of books. * Enthusiastic audience at the Edgartown Bookstore, in the rain! four people : four books sold! Read this review of the book, by Jack Shea of the MV Times; published May 2, 2013. The genesis for this book was suggested by my Marketeer, Dani McGrath of History Press. She thought the topic would resonate with Vineyarders and beyond. It was an intriguing project to pull together, involving a good deal of research and interviews with relatives of the women. Some women, such as Lillian Hellman and Patricia Neal, are nationally known. Others made their mark locally, such as Polly Hill, Dionis Riggs and Helen Lamb. It's a fun book to talk about. Order Women of Martha's Vineyard by completing the form below. 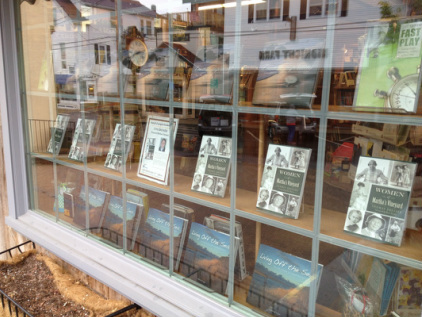 Or pick up a copy at Bunch of Grapes, in Vineyard Haven. Also available on Amazon.com. 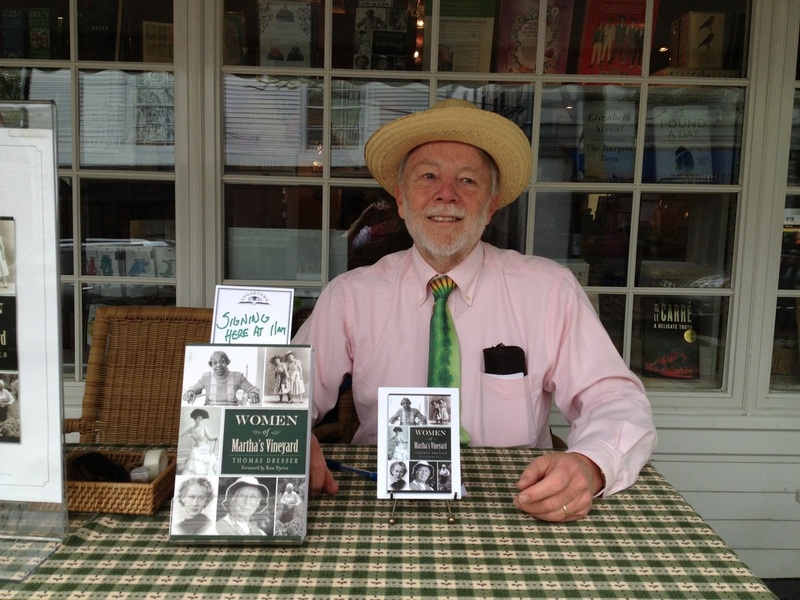 Signing books on the porch of Edgartown Books, Saturday, May 11. Books in the window of Bunch of Grapes. Eye-catching! Signing books at Bunch of Grapes, Vineyard Haven, also on May 11. Beth David, Editor of the Fairhaven Neighborhood News, ran a pretty nice piece on her day-trip from New Bedford to the Vineyard, including a tour around the Island and a visit to my book signing at Bunch of Grapes. Read her review of the Vineyard on page 13 of the May 16th issue of the Neighborhood News at NeighbNews@comcast.net.